Andrei Tarkovsky directed only nine fiction features, yet he created a legacy as one of the top Russian filmmakers. He’s best known for Solaris, but several others have nearly reached the same level of recognition. One of them is 1979’s Stalker, a loose adaptation of the novel Roadside Picnic by Boris and Arkady Strugatsky. The brothers also wrote the screenplay to this film, but it’s clear that Tarkovsky’s vision is driving it. Although the prevailing tone is slow and intellectual, fans of Lost may find a lot of similarities with this movie. The characters visit a strange place with abandoned structures and plenty of greenery. A mysterious presence is manipulating their every move and could grant their greatest wish if the intentions are true. Beyond those elements, there’s a similar look to this land. Who knew that Damon Lindelof and Carlton Cuse were partially inspired by a Russian sci-fi film? That’s not to say that fans of the show will love it; they’re working in far different realms. In a dire world, there’s an area called “The Zone” where inexplicable things happen. The Stalker (Aleksandr Kaydanovksiy) guides people into this land in search of their innermost wishes. 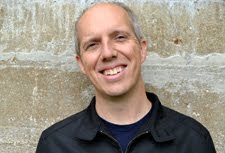 His latest group includes The Professor (Nikolai Grinko) and The Writer (Anatoliy Solonitsyn). The trio ventures into The Zone and tries to understand its power. Each guy struggles with his own issues and questions what he’d receive in the wish-granting room. 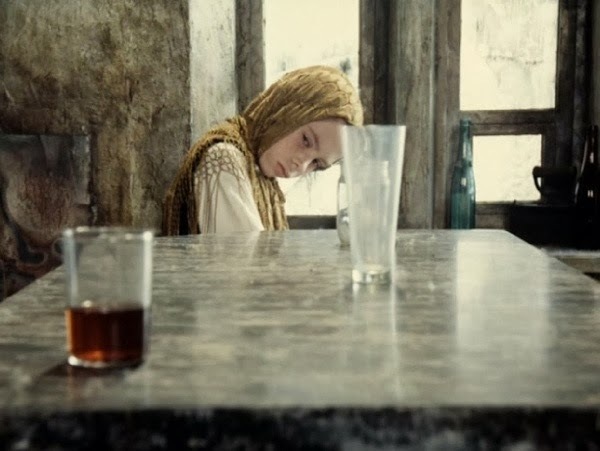 Tarkovsky takes such a static approach to the material that it could be off-putting to modern viewers. His shots linger for such a long time and force us to look for even the most subtle changes in the landscape. There are plenty of long monologues in this journey with characters delving into high-minded issues. Even so, the mystery about the room and what it contains keeps us engaged right to the end. It’s not a surprise when the answers don’t match our expectations. Like the finale of Lost, there’s no way for Tarkovsky to answer the many questions. It’s a confident, singular vision that’s hard to deny even if we’re unsure about what’s actually happening in front of us. The Zone’s landscape changes frequently, and there are major questions about how it’s happening. Is the Stalker manipulating the attractive landscape with his mind, or is there a god-like entity directing their progress? There’s also the possibility of an alien presence that arrived from space, but that’s only covered in the opening text. Despite the supernatural elements, the movie stays quite grounded. 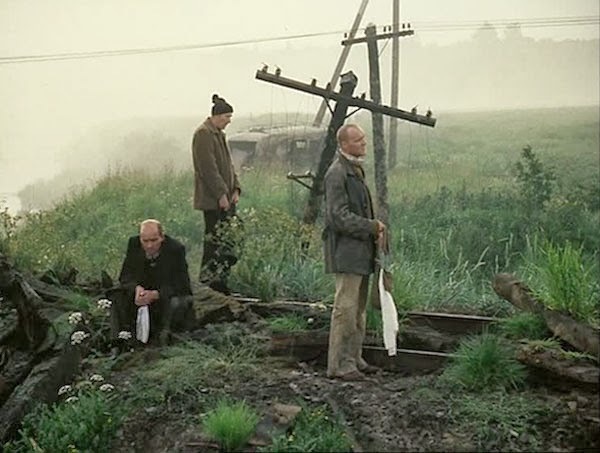 Tarkovsky seems most interested in the spiritual aspects of The Zone and the characters’ place in it. Should they destroy the room to ensure that evil people can’t use its power? The bomb’s arrival also brings Lost to mind and Jack’s grand plan to “set things right”. 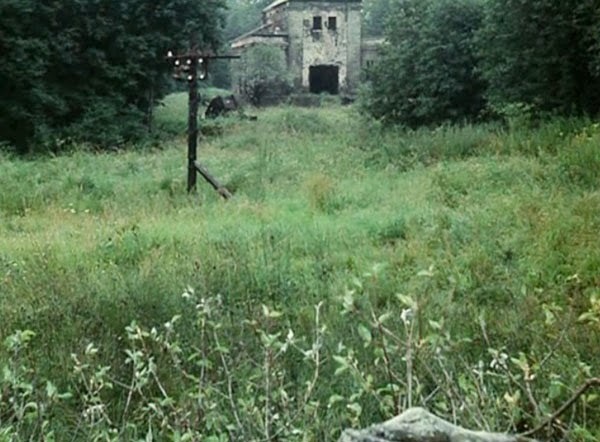 Both use the setting to delve into the characters’ world views, though Tarkovsky isn’t as interested in the individuals. In a slow burn film like Stalker, it’s a challenge when the characters aren’t engaging. The Professor and The Writer look very similar, and neither has much charisma. They’re smart guys and have unique views on life, yet the lack of magnetism is a challenge. The Stalker has the right look for a slightly crazed, beaten-down guy. He’s consistently frustrated when his charges ask the wrong questions, and that conflict drives much of the story. A key sequence near a telephone plays out in one long shot, and we see each guy coming to grips with the powers that rest so close to their location. Stalker is a tricky film to discuss because it’s so intriguing and differs sharply from modern films. Tarkovsky is working in another universe from even what’s considered intellectual sci-fi today. It requires us to watch his movies differently and grow accustomed to their patterns. The conclusion includes a stunning revelation about the Stalker’s daughter that makes us reconsider everything that we’ve seen. This moment strengthens the end result but also undercuts our expectations. I’m thrilled to have finally seen this film, but it was hardly a breezy viewing experience. The predominant themes are pivotal to the genre and life itself, and Tarkovsky’s deliberate approach forces us to ponder his ultimate intentions. Next week, I’ll stay in the dystopian world for a new marathon and travel to Elysium. This is the first Tarkovsky film I saw and I liked it. And one of the things I liked is that you can actually see this movie as not the slightest bit supernatural or "science-fictiony". Were it not for a split second of telekinesis right at the very end, you could just as easily say that the stalker is making the entire thing up and/or that everything that is happening is in the minds of the travellers. You could even say the travellers are in the mind of the stalker and do not really exist; that it's just him and the mysterious room that won't work for him, but maybe will work for these people he has conjured/brought there. Chip, I agree with your take and really wondered if anything we were seeing in The Zone actually happened. The Stalker's wife's monologue only supported that theory. The last scene throws it all in disarray. I read it as possibly saying that the power is with him, and the room is just a place with little power. He just doesn't realize it. It's the type of movie that is a slow viewing, but it leaves you thinking about so much afterwards. Thanks for stopping by! This is such a difficult film to pass judgment on. I think I need to see it at least one more time before I can determine what I really think about it. It is the sort of film that I'm willing to watch again, though, because Tarkovsky is worth seeing more than once. The problem I have with it is the pacing. I need to really be in the right frame of mind for anything by Tarkovsky. Solyaris, for instance, is beautiful, but so slow it's frequently stopped. Ultimately, films like Stalker make me feel dumb, like I should be getting more out of them than I possibly can. Steve, I totally agree about the pacing, which made it hard for me to stick with it. I ended up watching it over multiple sittings. I thought Solaris was a bit easier to stick with, but they both have major challenges for the viewer. It's tricky because I really admire Stalker on an intellectual level, but I'm definitely not smart enough to grasp everything that Tarkovsky is trying to do. Writing about it feels kind of silly because he's working on such a different level. Trying to rate his movies is even more challenging. It's one of my favorite films by Tarkovsky though I think Solaris is the better film. Still, it is an entrancing film though not easy to watch due to the fact that all of his films are slow in its pacing. Yet, I think one of the film's strengths is the fact that it never leaves your mind. 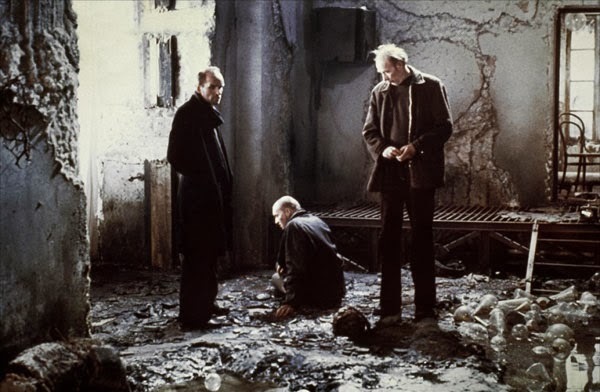 I enjoyed Solaris a bit more (that's it for me so far with Tarkovsky), but I agree that Stalker really sticks with you. The last few scenes have such an impact on how you view everything that's come before. Tarkovsky's films are tough to stick with due to the pacing, but the two I've seen have been really rewarding at the end. A true masterpiece and utterly unique. This was my first experience of Tarkovsky and its dreamy/nightmarish odyssey into The Zone stayed with me for a good long while. This deserves a second viewing to pick up on what I missed first time around. Absorbing read. Definitely. There's a lot to absorb on the first viewing. I've only seen two Tarkovsky films, and I liked Solaris a bit more, but there's a lot to ponder with Stalker. Thanks for the comment!